You have identified the ideal website if you are looking for a roofer in Allen, Texas that can handle roof repair and replacement assignments of all kinds, including home remodeling services. As a locally owned and operated company, we feel a close connection to people throughout Collin County, and we have been fortunate enough to establish many lasting relationships over the years. 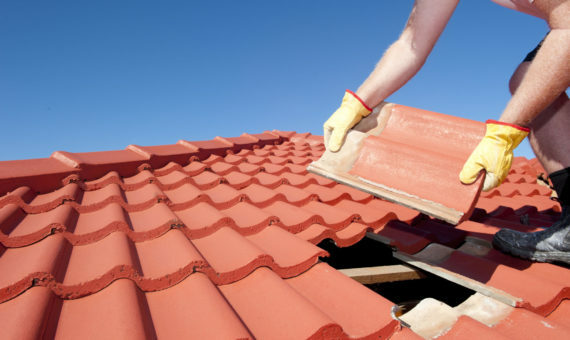 If you are in Forest Grove, Wetsel, City Center, the Imperial Drive/Bel Air Drive section, or any other part of town, for roof repair and roof replacement in Allen, Texas, Roofing & Remodeling of Dallas is the only name to remember. Our roofing contractors are experienced, having completed a multitude of residential and commercial projects, with many different types of roofing materials, including metal roofing, tile, shingle, and more. Finding roofing companies in Allen, TX that have that kind of experience is key when considering roof repair and replacement services. Roofing & Remodeling of Dallas not only has that experience but also offers high-quality work, with client testimonials to prove it. The roof repair technicians that comprise our team are second to none, and they know how to work on every type of system imaginable. Determining the right solution for the problem is key. Will a roof leak repair be sufficient? Or does it need a full roof replacement? If a roof can be fixed, our roofers will get the job done right, but it is not always possible to bring an old dinosaur back to life. Many people are concerned about roof replacement costs, but you actually get incredible value for your investment when you engage us to complete an Allen, Texas roof replacement project. First of all, when you can prove to your insurance company that you have a brand-new roof that has state-of-the-art storm resistance qualities, you may get a discount on your home insurance. There is also the matter of property value. Clearly, a house with a fresh roof is going to be worth more than a piece of property with a roof that has seen better days. 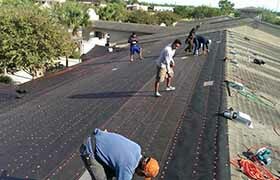 Thirdly, modern roofing systems are energy efficient. They reflect sunlight, and less heat gets into your home during the hot summer months. As a result, you will invariably see a reduction in your monthly utility bills when you are running your air conditioner. Yes, you put out some money for an Allen, Texas roof replacement, but it comes back to you in a variety of different ways. You will receive world class customer service on every level when you work with Roofing & Remodeling of Dallas. The work that we do in the field is second to none, and we also provide top-notch administrative support. We can communicate with your insurance company directly to make sure that your claim is honored if it is valid, and we are always available to address any questions or concerns that you may have. If you are ready to take action, you can speak with one of our Allen, Texas roof replacement and roof repair specialists right now if you give us a call at 972-231-7663.